Although some kids may have started school already across the nation, it’s still officially summer. Summertime is the time to catch fireflies at night. Fireflies are beetles. Most fireflies emit light; one known species does not. Male fireflies blink light from their abdomen to find a female to mate with. There are over 2,000 types of fireflies, which are also known as lightning bugs. 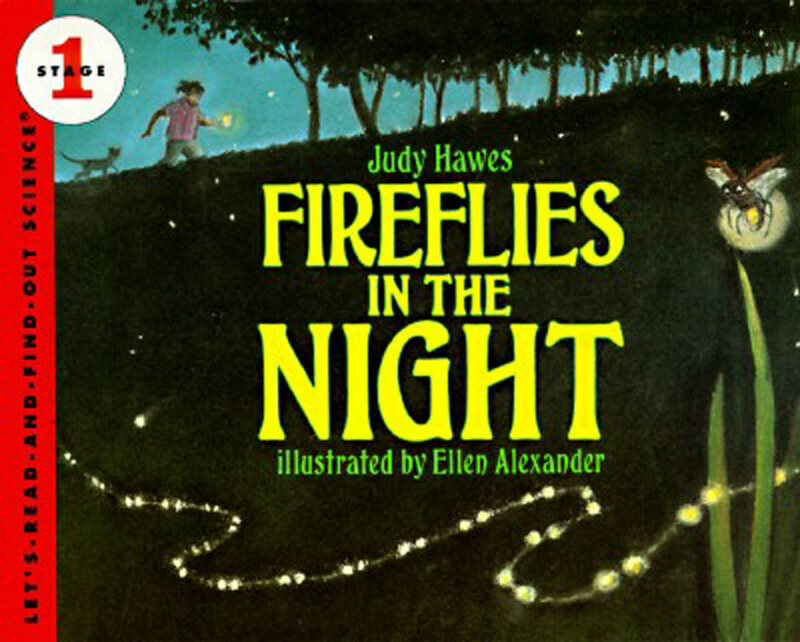 Read Fireflies in the Night by Judy Hawes then Catch fireflies on a warm summer evening and put them in a clear plastic jar for a nature light. Use any type of glass jar with a metal lid. Using a hammer and nails that are at least 3-inches long gently make five or six holes in the lid. Lay the lid on a hard surface with the inside facing up and tap the sharp edges flat without closing up the holes. Wet a paper towel and wring it out and lay it on the bottom of the jar. Put two or three small sticks and a couple of leaves on top of the paper towel. The sticks should reach halfway up the jar. 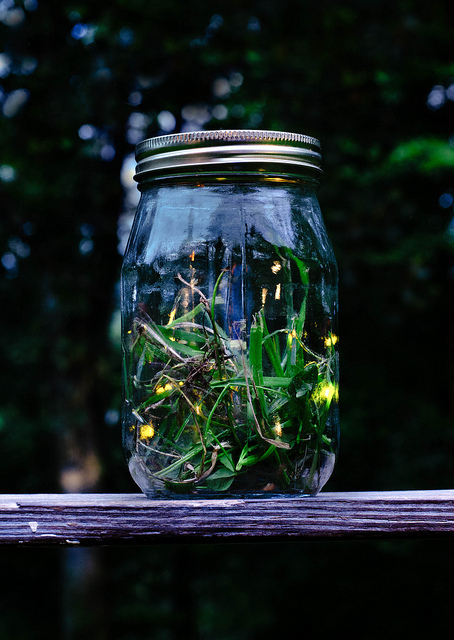 Allow the kids to catch fireflies with a net or their hands and put them in the jar. Screw the lid on tightly and enjoy the natural lantern. After a day or two, release the insects outside.